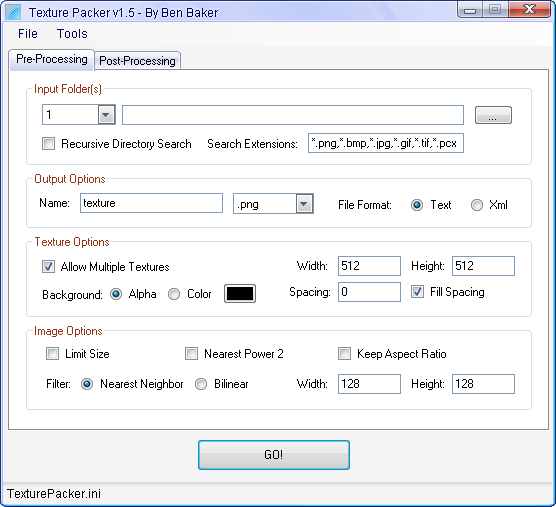 Texture Packer is a program that packs images into textures for use in OpenGL and DirectX applications. It creates a data file which gives the name and coordinates of each image in the texture. These are also known as a texture atlas. It uses a rectangle packing algorithm based on the pseudo code in the article by Jim Scott.